Cruise Opinions.org: Princess Cruises Honors Copenhagen as 2009 "Port of the Year"
Princess Cruises Honors Copenhagen as 2009 "Port of the Year"
SANTA CLARITA, Calif. (March 16, 2010) ? Princess Cruises has named Copenhagen as its ?Port of the Year? for 2009 ? a distinction awarded as the result of passenger satisfaction surveys. Copenhagen is the first port outside of North America to earn this honor. The annual award is given to one of Princess? 33 worldwide turnaround ports that earn the highest scores for the year, as rated by passengers on each cruise. A turnaround port is where a cruise ends and the next one begins. The honor recognizes that a port has provided the service, facilities and personnel that have enhanced the passenger experience while boarding or disembarking the ship. In total, the voting measured passenger satisfaction scores from 14 calls in Copenhagen during the summer 2009 season. ?A turnaround port offers passengers their first or last impression of their cruise with us, so it?s very important that they have a good experience as they travel through the local facilities,? said Dean Brown, Princess executive vice president of corporate services. ?Copenhagen has been recognized as the highest ranked port for 2009, but they?ve also been one of the highest ranked ports in years past. It?s clear that our passengers appreciate the level of service and efficiency that the port and their staff provide.? This is the fifth year for the award, and previous Port of the Year designations have gone to Los Angeles, Whittier, Vancouver and Brooklyn. Copenhagen serves as home port for Princess Scandinavia & Russia itineraries. 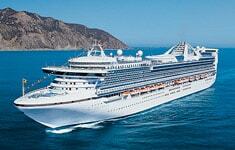 Star Princess will begin the 2010 cruise season on these popular itineraries on May 12. Additional information about Princess Cruises is available through a Princess Cruise Expert at Cruisign2Europe.com #1-800-738-8837.